Anyone who lives in Philadelphia knows how rough the city can be on cars and trucks. Between the constant stop-and-go of gridlock traffic, the hazardous potholes that can permanently damage your wheels and a variety of other factors, it’s critical that Philadelphia residents establish a relationship with a qualified and reputable auto repair professional. 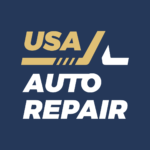 US Auto Repair is a fixture of the Philadelphia community and has been providing quality and affordable auto repair services to residents of the city of brotherly love for years. If you need immediate and affordable auto repair services today, call US Auto Repair now. We look forward to serving you. Need more flexibility? Book a service with USA Auto Repair at the time and date that is convenient for you. Transparency is everything. You can be confident that our prices for automotive care and maintenance won’t break your bank. You can count on great value and competative industry pricing. Automotive integrity is our duty. You can look forward to working with mechanics you can count on. Whether you’re looking for help with routine maintenance issues like oil changes or brake replacement or something more serious like transmission or catalytic converter repair, US Auto Repair has the resources, personnel and expertise to help you get it all done. Our Philadelphia auto repair shop has been a fixture of the community for years due in large part to our affordability, honesty, and unparalleled level of expertise. Stop by our location and see for yourself why we’re one of the most trusted auto mechanics in the area. We offer quick turnaround times and free estimates on all auto repairs and maintenance. The experienced and qualified auto mechanics at US Auto Repair are familiar with all makes and models of cars, including Acura, Audi, BMW, Buick, Cadillac, Chevrolet, Chrysler, Dodge, Ferrari, Fiat, Ford, Genesis, GMC, Honda, Hyundai, Infiniti, Jaguar, Jeep. KIA, Land Rover, Lexus, Lincoln, Maserati, Mazda, Mercedes, Mini, Mitsubishi, Nissan, Porsche, RAM, Smart, Subaru, Toyota, Tesla, Volkswagen, Volvo and more. We routinely work on both domestic cars and imports and have an expert familiarity with the anatomy and operation of every type of car or truck. US Auto Repair is ready to help you with every type of issue your vehicle may be having. At US Auto Repair, we understand that our customers rely on their cars to work, take care of their families and live your life. We also know how hard it is to find an honest and reputable auto mechanic and how hazardous Philadelphia can be to commuters. Our trained and certified automotive professionals are ready to help you get the peace of mind and assurance you need when you get behind the wheel. We strive to build lifelong relationships with all of our clients so they know they can depend on us. Call US Auto Repair today for a free estimate. Our professionals very much look forward to hearing from you. You don’t have to put your faith in the wrong mechanic. Having found USA Auto Repair – you have found the Trusted Automotive Experts! Have your work done here and you’ll never want to go anywhere else again. We treat all cars like family – with quality you can trust. Take the hassle out of maintenance! Enjoy convenient car care and repair at our shop near you. Tell us what your car needs or ask for a diagnostic. That’s it. Complete auto care, hassle free! USA Auto Repair is absolutely wonderful! The level of sincerity and care I experienced here was unlike any other service shop. I really felt that they had my best in mind when offering their services. I needed time to decide what repairs to go through with and they were very understanding. I like this guy. Will definitely be back.